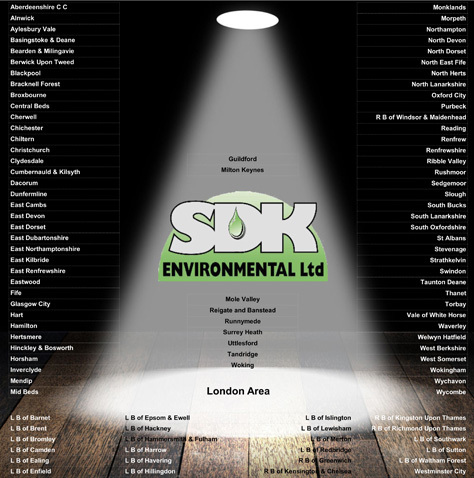 Since inception, SDK has worked on behalf of over 85 local authorities throughout the United Kingdom in all aspects of our operations. Experience in working with, and on behalf of, local authorities is of paramount importance in order to achieve consistent success in this highly competitive arena. With some local authorities, SDK has provided services over an unbroken 10 year period which demonstrates our abilities to sustain long-term strategic partnerships. We take great pride in listing those councils we have worked for over the years and the experiences enjoyed put SDK at the forefront of service delivery in the areas of pest control, dog wardens services and hygiene. SDK understands local authority objectives and tries at all times to meet and exceed the expectations placed on it. Here are some of the councils we have worked in the past. We continue to work with many of these today. Please click here to view the SDK Partnering Policy.